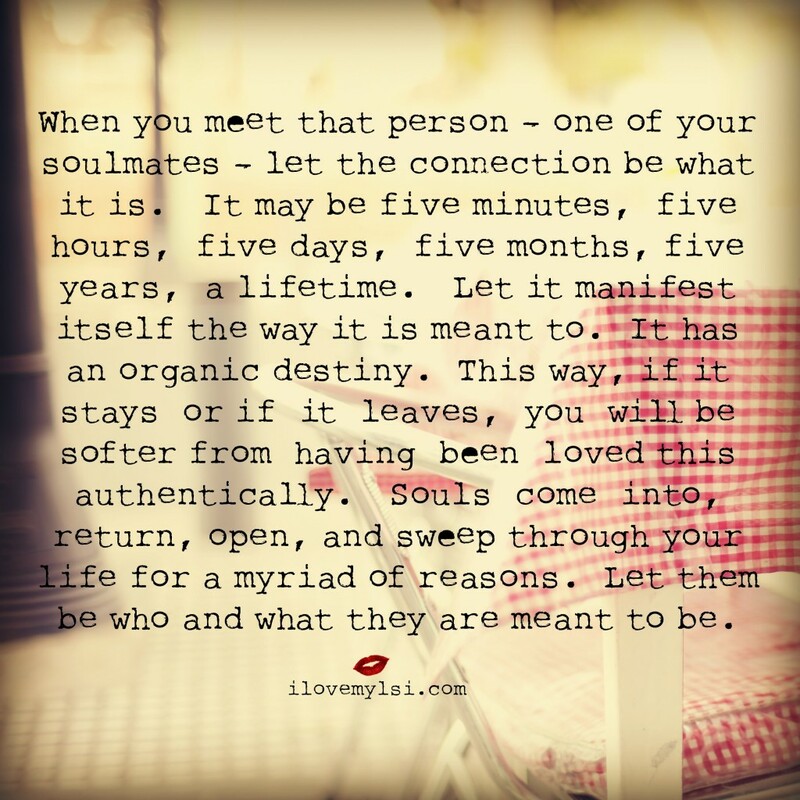 When you meet that person – one of your soulmates – let the connection be what it is. It may be five minutes, five hours, five days, five months, five years, a lifetime. Let it manifest itself the way it is meant to. It has an organic destiny. This way, if it stays or if it leaves, you will be softer from having been loved this authentically. Souls come into, return, open and sweep through your life for a myriad of reasons. Let them be who and what they are meant to be.